If you walked through Rockefeller Center today, you could be forgiven for thinking that the holidays had come early this year. However, the giant, colorful structure that was erected above the Prometheus Fountain isn’t some sort of warm weather Rockefeller Center Christmas Tree. It’s actually an inflatable Jeff Koons sculpture that was inspired by a small porcelain figurine. 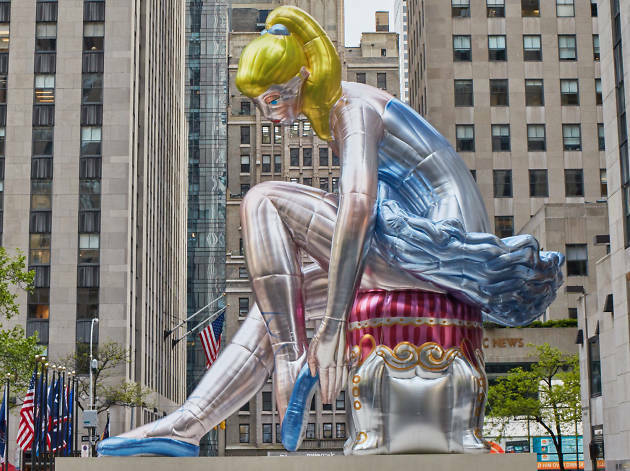 The towering work of public art, entitled Seated Ballerina, was mounted thanks to Kiehl’s and the Art Production Fund in order to raise awareness about National Missing Children’s Month this May. The piece is made of inflatable nylon and is part of Koon’s Antiquity series. See a wider shot of the sculpture, which you can check out for yourself through June 2, below. This is a copy of work of Ukrainian porcelain artist Oksana Zhnykrup’s “Lenochka ballerina on padded stool”. Obnoxious plagiarism to the max! The highest paid living artist Jeff Kroons makes an inflatable exact copy of "The ballerina Lenochka on the padded stool", Kiev 1960s by the Ukrainian Sculptor - Oksana Zhnykrup (#ОКСАНАЖНИКРУП), model of 1974. I find it hard to believe that "an artist" who owns a factory of artists doing work for him didn't have the means to research the identity of the original author. It's very common to be inspired by other artists, but if someone of his standing doesn't bother to credit the source of his inspiration, especially when his work is an exact copy of another artist, well - than he is no more than a con artist. It's not like Oksana Zhnykrup would be claiming any royalties, but she must be turning in her grave now. Therefore, this is not a matter of money but of basic human decency! If the New York art community, especially the art critics and the Rockefeller Centre don't boycott this behavior, than this implies that they are encouraging it. 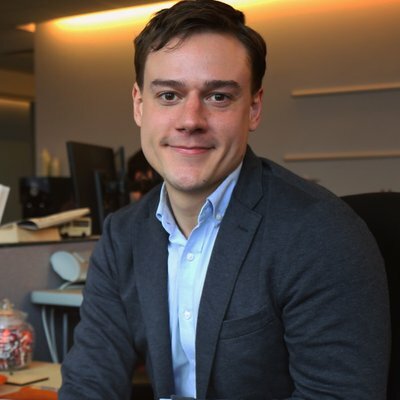 After all, if the big guys can get away with successful copycat behavior - than why shouldn't everyone else try to do the same? I doubt that the people who once bought his works for tens of millions$ in auctions will raise hell over his tactics because this would mean that they f****ng overpaid and this would make them look stupid. P.S. Given the currently ongoing amount of public outrage on the internet, I am super curious how Mr. Kroons will try to save his face. His commentary “I found it somewhere in a Russian factory” just doesn’t cut it: Oksana Zhnykrup held numerous exhibits in the West, including USA.